Arthur Robert Jensen (August 24, 1923 – October 22, 2012) was an American psychologist and author. He was a professor of educational psychology at the University of California, Berkeley. Jensen was known for his work in psychometrics and differential psychology, the study of how and why individuals differ behaviorally from one another. Jensen was controversial,[according to whom?] largely for his conclusions regarding the causes of race-based differences in intelligence. Jensen was born August 24, 1923, in San Diego, California, the son of Linda Mary (née Schachtmayer) and Arthur Alfred Jensen, who operated and owned a lumber and building materials company. His paternal grandparents were Danish immigrants and his mother was of half Polish Jewish and half German descent. He studied at University of California, Berkeley (B.A. 1945), San Diego State College (M.A., 1952) and Columbia University (Ph.D., 1956), and did his doctoral thesis with Percival Symonds on the Thematic Apperception Test. From 1956 through 1958, he did postdoctoral research at the University of London, Institute of Psychiatry with Hans Eysenck. Upon returning to the United States, he became a researcher and professor at the University of California, Berkeley, where he focused on individual differences in learning, especially the influences of culture, development, and genetics on intelligence and learning. He received tenure at Berkeley in 1962 and was given his first sabbatical in 1964. He concentrated much of his work on the learning difficulties of culturally disadvantaged students. Jensen had a lifelong interest in classical music and was, early in his life, attracted by the idea of becoming a conductor himself. At 14, he conducted a band that won a nationwide contest held in San Francisco. Later, he conducted orchestras and attended a seminar given by Nikolai Sokoloff. Soon after graduating from Berkeley, he moved to New York, mainly to be near the conductor Arturo Toscanini. He was also deeply interested in the life and example of Gandhi, producing an unpublished book-length manuscript on his life. During Jensen's period in San Diego he spent time working as a social worker with the San Diego Department of Public Welfare. The work became one of the most cited papers in the history of psychological testing and intelligence research, although a large number of citations consisted of rebuttals of Jensen's work, or references to it as an example of a controversial paper. After the paper was released, large protests were held, demanding that Jensen be fired. Jensen's car tires were slashed, the university police provided him with plain-clothes bodyguards, and he and his family received threats that were considered so realistic by the police that they temporarily left their house. Jensen was spat on and was prevented from delivering lectures by disruptive protests. The editorial board of the Harvard Educational Review for a time refused to let him have reprints of his article, and said that they had not solicited the section on racial differences; Jensen later provided correspondence in which the board had requested he do so. In 1994 he was one of 52 signatories on "Mainstream Science on Intelligence, " an editorial written by Linda Gottfredson and published in the Wall Street Journal, which declared the consensus of the signing scholars on the meaning and significance of IQ following the publication of the book The Bell Curve. Jensen received $1.1 million from the Pioneer Fund, an organization frequently described as racist and white supremacist in nature. The fund contributed a total of $3.5 million to researchers cited in The Bell Curve's most controversial chapter "that suggests some races are naturally smarter than others" with Jensen's works being cited twenty-three times in the book's bibliography. 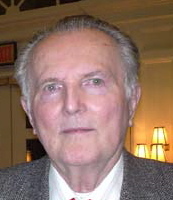 Paul E. Meehl of the University of Minnesota, after being honored by the APA, wrote that Jensen's "contributions, in both quality and quantity, certainly excelled mine" and that he was "embarrassed" and "distress[ed]" that APA refused to honor Jensen out of ideology. According to David Lubinski of Vanderbilt University, the "extent to which [Jensen's] work was either admired or reviled by many distinguished scientists is unparalleled." Sandra Scarr of Yale University wrote that Jensen possessed an "uncompromising personal integrity" and set the standard for "honest psychological science". She contrasted him and his work favorably to some of his critics, who she called "politically driven liars, who distort scientific facts in a misguided and condescending effort to protect an impossible myth about human equality". After Jensen's death, James Flynn of the University of Otago, a prominent advocate of the environmental position, told The New York Times that Jensen was without racial bias and had not initially foreseen that his research would be used to argue for racial supremacy and that his career was "emblematic of the extent to which American scholarship is inhibited by political orthodoxy", though he noted that Jensen shifted towards genetic explanations later in life. Steven J. Haggbloom, writing for Review of General Psychology in 2002, rated Jensen as one of the 100 most eminent psychologists of the 20th century, based on six different metrics chosen by Haggbloom. Francis Crick, the co-discoverer of DNA, considered that there was "much substance to Jensen's arguments" and that it was "likely that more than half the difference between the average I.Q. of American whites and Negroes is due to genetic reasons, and will not be eliminated by any foreseeable change in the environment." Paleontologist and evolutionary biologist Stephen Jay Gould criticized Jensen's work in his 1981 book The Mismeasure of Man. Gould writes that Jensen misapplies the concept of "heritability", which is defined as a measure of the variation of a trait due to inheritance within a population (Gould 1981: 127; 156-157). According to Gould, Jensen uses heritability to measure differences between populations. Gould also disagrees with Jensen's belief that IQ tests measure a real variable, g, or "the general factor common to a large number of cognitive abilities" which can be measured along a unilinear scale. In 1980 Jensen published a detailed book in defense of the tests used to measure mental abilities, entitled Bias in Mental Testing. Reviewing this book, psychologist Kenneth Kaye endorsed Jensen's distinction between bias and discrimination, saying that he found many of Jensen's opponents to be more politically-biased than Jensen was. Bias in Mental Testing (1980) is a book examining the question of test bias in commonly used standardized tests. The book runs almost 800 pages and has been called "exhaustive" by three researchers who reviewed the field 19 years after the book's publication. It reviewed in detail the available evidence about test bias across major US racial/ethnic groups. Jensen concluded that "the currently most widely used standardized tests of mental ability -- IQ, scholastic aptitude, and achievement tests -- are, by and large, not biased against any of the native-born English-speaking minority groups on which the amount of research evidence is sufficient for an objective determination of bias, if the tests were in fact biased. For most nonverbal standardized tests, this generalization is not limited to English-speaking minorities." (p. ix). Jensen also published a summary of the book the same year which was a target article in the journal Behavioral and Brain Sciences to which 27 commentaries were printed along with the author's reply. Straight Talk about Mental Tests (1981) is a book written about psychometrics for the general public. John B. Carroll reviewed it favorably in 1982, saying it was a useful summary of the issues, as did Paul Cline writing for The British Journal of Psychiatry. In 2016, Richard J. Haier called it "a clear examination of all issues surrounding mental testing". Clocking the Mind: Mental Chronometry and Individual Differences (2006) deals with mental chronometry (MC), and covers the speed with which the brain processes information and different ways this is measured. Jensen argues mental chronometry represents a true natural science of mental ability, which is in contrast to IQ, which merely represents an interval (ranking) scale and thus possesses no true ratio scale properties. Joseph Glicksohn wrote in a 2007 review for Canadian Journal of Experimental Psychology that "The book should be perused with care in order to ensure the further profitable use of [reaction time] in both experimental and differential lines of research." Douglas Detterman reviewed it in 2008 for Intelligence, writing that "the book would make a good introduction to the field of the measurement of individual differences in cognitive tasks for beginning graduate students." Eric-Jan Wagenmakers and Han van der Mass, also writing for Intelligence in 2018, faulted the book for omitting the work by mathematical psychologists, advocating standardization of chronometric methods (which the authors consider problematic because it can hide method variance), and because it does not discuss topics such as the mutualism model of the g-factor and the Flynn effect. They describe the book's breadth as useful, despite it's simplistic approach. Jensen was on the editorial board of Intelligence when these reviews were published. In 2003, Jensen was awarded the Kistler Prize for original contributions to the understanding of the connection between the human genome and human society. In 2006, the International Society for Intelligence Research awarded Jensen its Lifetime Achievement Award. ^ "Arthur Jensen" (PDF). Journal of Educational and Behavioral Statistics. Archived from the original (PDF) on 2010-04-01. Retrieved 2010-06-05. ^ "Collected works". Arthurjensen.net. Retrieved August 30, 2015. ^ Intelligence and Personality and Individual Differences Archived 2002-10-28 at the Wayback Machine publisher's pages. ^ Panofsky, Aaron (2014). Misbehaving Science. Controversy and the Development of Behavior Genetics. Chicago: University of Chicago Press. ISBN 978-0-226-05831-3. ^ Current biography yearbook. H.W. Wilson Company. 1974. ISBN 9780824205430. Retrieved 2012-10-28. ^ Jensen, Arthur Robert; Miele, Frank (2002). Intelligence, race, and genetics: conversations with Arthur R. Jensen (illustrated ed.). Westview Press. p. 242. ISBN 978-0-8133-4008-1. ^ "High Impact Science and the Case of Arthur Jensen" (PDF). 9 October 1978. Retrieved 27 January 2012. ^ Johnson, Wendy (2012). "How Much Can We Boost IQ? An Updated Look at Jensen's (1969) Question and Answer". In Slater, Alan M.; Quinn, Paul C. (eds.). Developmental Psychology: Revisiting the Classic Studies. Psychology: Revisiting the Classic Studies. Thousand Oaks (CA): SAGE. pp. 118–131, 123. ISBN 978-0-85702-757-3. Lay summary (19 May 2013). The article itself became one of the most highly cited in the history of psychology, but many of the citations were rebuttals of Jensen's arguments or used the paper as an example of controversy. ^ a b Scarr, Sandra (1998). "On Arthur Jensen's integrity". Intelligence. 26 (3): 227–232. doi:10.1016/S0160-2896(99)80005-1. ^ Nyborg, Helmuth (2003). The Scientific Study of General Intelligence: Tribute to Arthur Jensen. Elsevier. pp. 458–9. ISBN 9780080516660. ^ Information, Reed Business (1972). New Scientist. Reed Business Information. p. 96. ^ Thomas Sowell (October 1, 2002). "Race and IQ". Retrieved 14 November 2008. ^ Adam, Miller (1994) [Winter, 1994-1995]. "The Pioneer Fund: Bankrolling the Professors of Hate". The Journal of Blacks in Higher Education (6): 58–61. JSTOR 2962466. A 1969 article by University of California at Berkeley educational psychology professor Arthur Jensen, who has received more than $1 million in Pioneer funds, argued that black students' poor academic performance was due to irreversible genetic deficiencies, so programs like Head Start were useless and should be replaced by vocational education. ^ Falk, Avner (2008). Anti-semitism : a history and psychoanalysis of contemporary hatred. Westport, Conn: Praeger. pp. 18–19. ISBN 9780313353840. Since his death in 1972, Draper and the Pioneer Fund have been criticized for funding "race and intelligence research," which is a euphemism for "scientific" racism (Kenny 2002, Tucker 2002). Draper has become even more controversial since the publication of The Bell Curve (Herrnstein & Murray 1994), which purported to prove that white people's intelligence was superior to black people's intelligence, because the Pioneer Fund supported the controversial research in the book (Fraser 1995; Jacoby & Glauberman 1995; Baum 2004). ^ Tucker, William (2002). The funding of scientific racism : Wickliffe Draper and the Pioneer Fund. Urbana: University of Illinois Press. pp. 1–3. ISBN 9780252027628. Leon Kamim, professor of psychology at Northeastern University and a well-known critic of hereditarian studies, observed that Herrnstein and Murray, in their discussion of race and IQ, had turned for assistance to Richard Lynn, whom they described as "a leading scholar of racial and ethnic differences," "I will not mince words," wrote Kamin, calling it a "shame and disgrace that two eminent social scientists ... take as their scientific tutor Richard Lynn ... an associate editor of the vulgarly racist journal Mankind Quarterly ... [and] a major recipient of support from the nativist and eugenically oriented Pioneer Fund. ^ Wroe, Andrew (2008). The Republican party and immigration politics : from Proposition 187 to George W. Bush. New York: Palgrave Macmillan. pp. 80–81. ISBN 9780230600539. According to Taxpayers the Pioneer Fund in its first charter had called for the encouragement of the "reproduction of individuals descended predominantly from white persons who settled in the original 13 states or from related stock." Taxpayers also claimed that the fund supported racist research, including that of notorious scientist William B. Shockley. In a press release, "taxpayers described the Pioneer Fund as a "white supremacist" organization. What was the racist link between Prop. 187 and the Pioneer Fund? Taxpayers claimed that the Federation for American Immigration Reform (FAIR) had received S600,000 in grants since 1988 from the Pioneer Fund, and that Alan Nelson was FAIR's lobbyist in Sacramento when he coauthored Prop. 187. ^ "Pioneer Fund". Intelligence Files : Groups. Southern Poverty Law Center. Retrieved June 6, 2012. Ideology: White Nationalist. Started in 1937 by textile magnate Wickliffe Draper, the Pioneer Fund's original mandate was to pursue "race betterment" by promoting the genetic stock of those "deemed to be descended predominantly from white persons who settled in the original thirteen states prior to the adoption of the Constitution." Today, it still funds studies of race and intelligence, as well as eugenics, the "science" of breeding superior human beings that was discredited by various Nazi atrocities. The Pioneer Fund has supported many of the leading Anglo-American race scientists of the last several decades as well as anti-immigration groups such as the Federation for American Immigration Reform (FAIR). ^ Montagu, Ashley (2002). Race and IQ (2 ed.). New York: Oxford University Press. ISBN 9780195102215. And many of The Bell Curve's most important assertions which establish causal links between IQ and social behavior, and IQ and race, are derived partially or totally from the Mankind Quarterly Pioneer Fund scholarly circle. The University of California's Arthur Jensen, cited twenty-three times in The Bell Curve's bibliography, is the book's principal authority on the intellectual inferiority of blacks. He has received $1.1 million from the Pioneer Fund. ^ Rushton, J. Philippe; Jensen, Arthur R. (2005). "Thirty Years of Research on Race Differences in Cognitive Ability" (PDF). Psychology, Public Policy, and Law. 11 (2): 235–294. CiteSeerX 10.1.1.186.102. doi:10.1037/1076-8971.11.2.235. Archived from the original (PDF) on 2012-07-22. ^ Meehl, Paul E. "PSYCHOLOGY OF THE SCIENTIST: LXXVIII. RELEVANCE OF A SCIENTIST'S IDEOLOGY IN COMMUNAL RECOGNITION OF SCIENTIFIC MERIT". CiteSeerX 10.1.1.693.3454. ^ Haggbloom, Steven J. (2001). "The 100 Most Eminent Psychologists of the Twentieth Century". doi:10.1037/e413802005-787. ^ Francis, Crick (22 February 1971). "Letter from Francis Crick to John T. Edsall, Fogarty International Center". profiles.nlm.nih.gov. ^ K. Kaye, The Sciences, January 1981, pp. 26-28. ^ Jensen, Arthur (1987). "Chapter 21: Differential Psychology: Towards Consensus". In Modgil, Sohan; Modgil, Celia (eds.). Arthur Jensen: Consensus and Controversy. Falmer international master-minds challenged; 4. London: Falmer Press. p. 379. ISBN 978-1-85000-093-8. ^ Brown, Robert T.; Reynolds, Cecil R.; Whitaker, Jean S. (1999). "Bias in mental testing since Bias in Mental Testing". School Psychology Quarterly. 14 (3): 208–238. doi:10.1037/h0089007. ^ Jensen, Arthur R. (1980). "Précis of Bias in Mental Testing". Behavioral and Brain Sciences. 3 (3): 325. doi:10.1017/s0140525x00005161. ^ Carroll, John B. (1982). "Can We Defuse the IQ Controversy?". Contemporary Psychology: A Journal of Reviews. 27 (7): 528–529. doi:10.1037/021298. ^ Kline, Paul (May 1982). "Straight Talk about Mental Tests. By Arthur R. Jensen. New York: The Free Press. 1981. Pp 269. $12.95". The British Journal of Psychiatry. 140 (5): 544–5. doi:10.1017/S0007125000136682 (inactive 2019-03-10). ^ Haier, Richard J. (2016). The Neuroscience of Intelligence. New York, NY. ISBN 9781316105771. OCLC 951742581. ^ Glicksohn, Joseph (2007). "Review of Arthur R. Jensen (2006)--Clocking the mind: Mental chronometry and individual differences". Canadian Journal of Experimental Psychology/Revue Canadienne de Psychologie Expérimentale. 61 (2): 154–158. doi:10.1037/cep2007_2_154. ^ Detterman, Douglas K. (2008). "Arthur R. Jensen, Clocking the mind: Mental chronometry and individual differences, Elsevier, Oxford (2007)". Intelligence. 36 (5): 491–493. doi:10.1016/j.intell.2007.08.001. ^ Wagenmakers, Eric-Jan; Van Der Maas, Han (2008). "Jensen A.R., Clocking the mind: Mental chronometry and individual differences, Elsevier, Amsterdam (2006) (pp. xi+ 272)". Intelligence. 36 (5): 493–494. doi:10.1016/j.intell.2007.09.001. ISBN 978-0-08-044939-5. ^ "2006 Lifetime Achievement Award". isironline.org. International Society for Intelligence Research. December 25, 2006. Retrieved October 18, 2015. Jensen, A. R. (1974). "Ethnicity and scholastic achievement". Psychological Reports. 34 (2): 659–668. doi:10.2466/pr0.1974.34.2.659. PMID 4820518. Jensen, A. R. (1974). "Kinship correlations reported by Sir Cyril Burt". Behavior Genetics. 4 (1): 1–28. doi:10.1007/bf01066704. PMID 4593437. Jensen, A. R. (1989). "The relationship between learning and intelligence". Learning and Individual Differences. 1: 37–62. doi:10.1016/1041-6080(89)90009-5. Jensen, A. R. (1993). "Why is reaction time correlated with psychometric g?". Current Directions in Psychological Science. 2 (2): 53–56. doi:10.1111/1467-8721.ep10770697. Jensen, A. R. (1995). "Psychological research on race differences". American Psychologist. 50: 41–42. doi:10.1037/0003-066x.50.1.41. Jensen, A. R. (2000). "Testing: The dilemma of group differences". Psychology, Public Policy, & Law. 6: 121–128. doi:10.1037/1076-8971.6.1.121. Jensen, A. R. (2002). "Galton's legacy to research on intelligence". Journal of Biosocial Science. 34 (2): 145–172. doi:10.1017/s0021932002001451. Kranzler, J. H.; Jensen, A. R. (1989). "Inspection time and intelligence: A meta-analysis". Intelligence. 13 (4): 329–347. doi:10.1016/s0160-2896(89)80006-6.